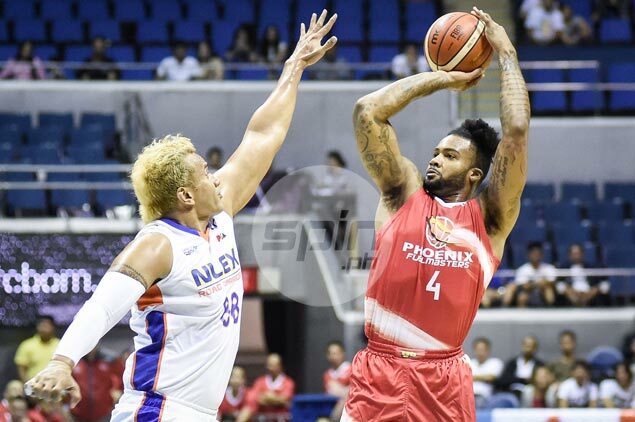 OLD reliable Eugene Phelps will try to hold the fort for Phoenix as the team negotiates with its import of choice for the PBA Commissioner’s Cup that kicks off next week. Phelps arrived in the country on Wednesday night straight from Taiwan where he suited up for the Kinmen Kaoliang Liquor team in its Super Basketball League (SBL). “For now, si Phelps muna,” Phoenix coach Ariel Vanguardia share to SPIN.ph. Phelps averaged 36 points and 19 rebounds per game in his debut with Phoenix in last year's Governors Cup, where he steered the team to a playoff stint. The Fuel Masters however, were bundled out by top seed TnT Katropa in the quarterfinals of the season-ending meet. But that hardly worries Vanguardia. The Fuel Masters play their first game in the import-laden meet against the Blackwater Elite on March 18 at the Astrodome. The Elite will be powered by NBA veteran Greg Smith.